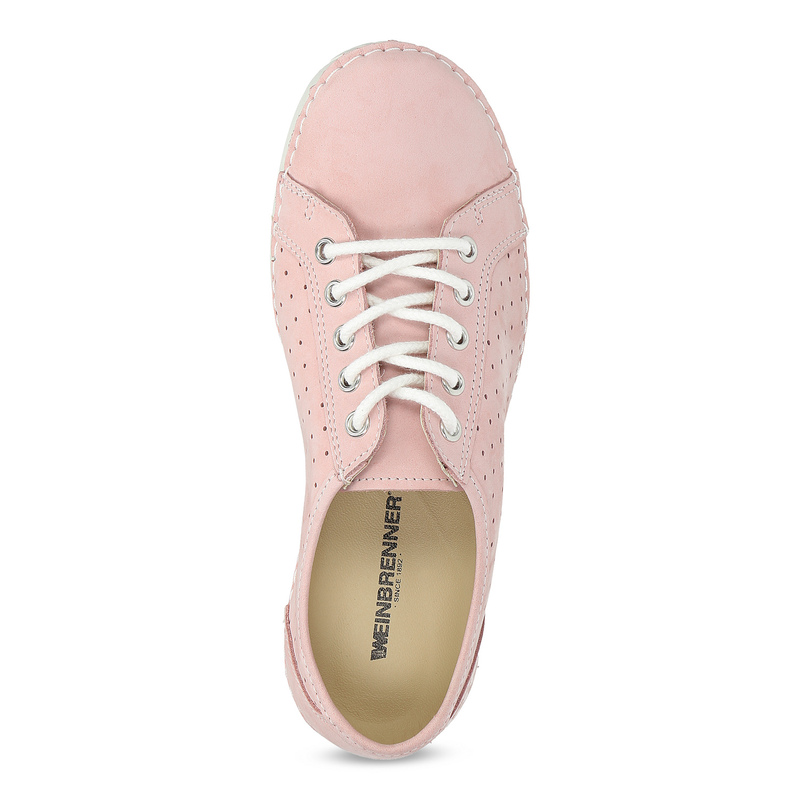 Ladies´ Weinbrenners in an attractive pastel pink shade. The upper of brushed leather is decorated with side perforations making the shoes airy. 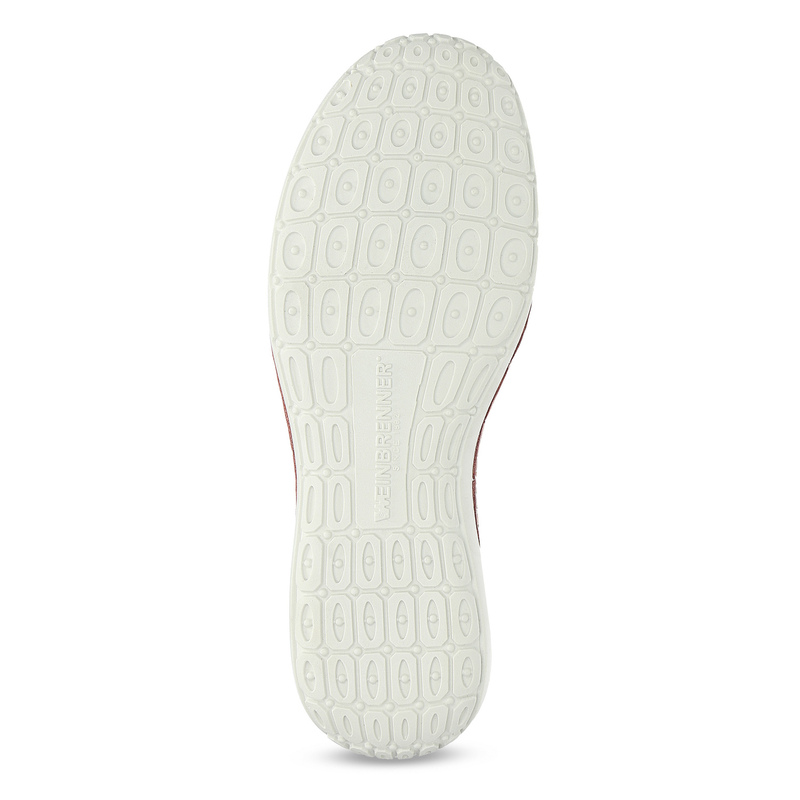 The comfortable sole is stitched to the upper for enhanced flexibility of the shoes. 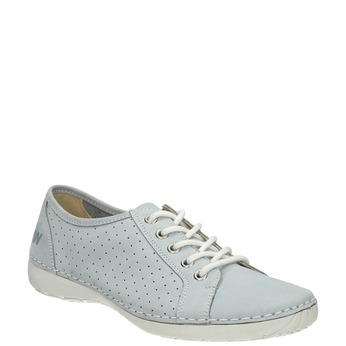 Its shape respects the ergonomics of the feet. A comfortable piece for everyday wearing matching casual skirts.